This project aimed to improve living conditions and the environment in deprived communities by equipping social spaces and increasing involvement in community activities. 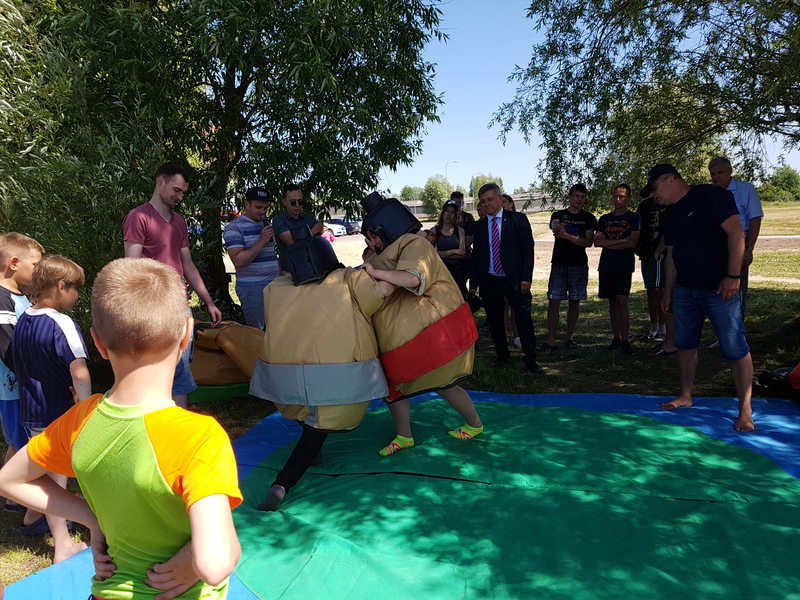 The objective of the project was to improve the living conditions in Biržai and Nereta municipalities by promoting the employment of social groups: youth, working-age community members and seniors. Implemented activities generated long-term results. 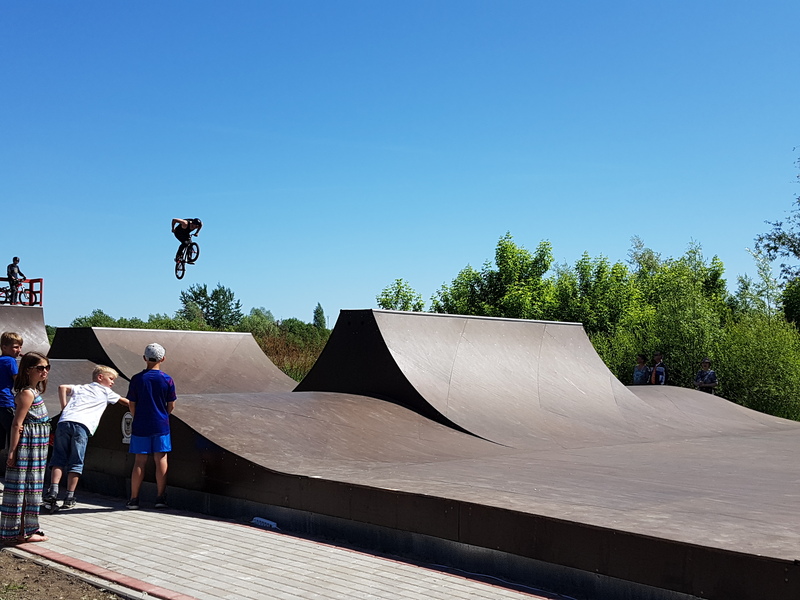 New social spaces were created in the municipalities of Biržai and Nereta: Biržai has new Skate park and the sports hall of Nereta scholl is renovated, the hall is modernised. The premises now are used for all population groups and not only for sporing activity – it also hosts community meetings. 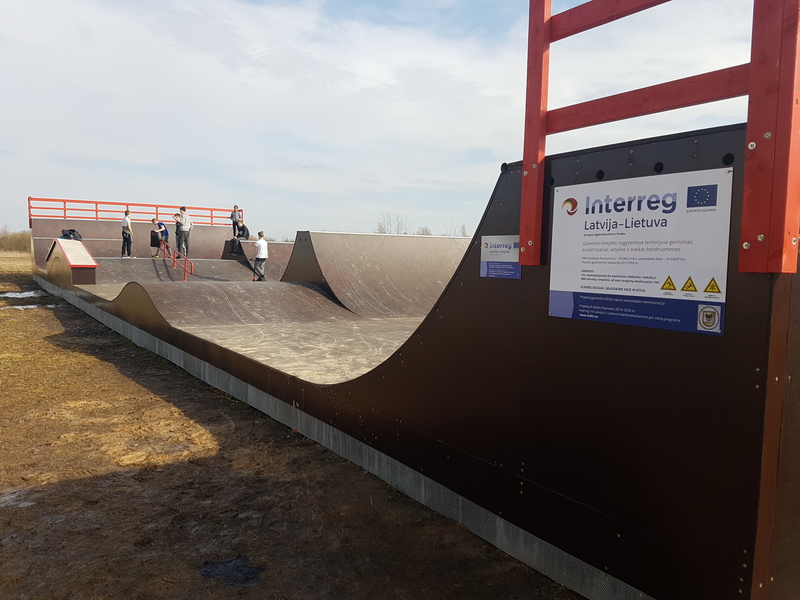 After the installation of the Skate park in Biržai the active leisure activities for youth were promoted, as well as a closer relationship with the family or elderly people, because young people are encouraged to visit the Skate park not only with their peers. Trainings and events forged a closer link between the communities, motivate and encourage the social involvement of the residents. As distance between Birzai and Nereta is relatively small and both municipalities face similar problems, cross border cooperation approach was the best one to use for promotion of social inclusion and cooperation. 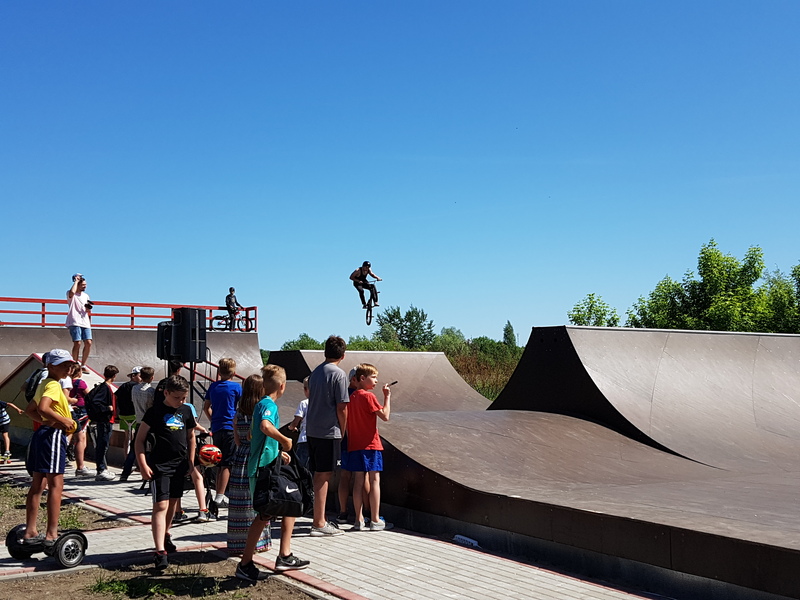 Skate park opening event on 01.06.2018. 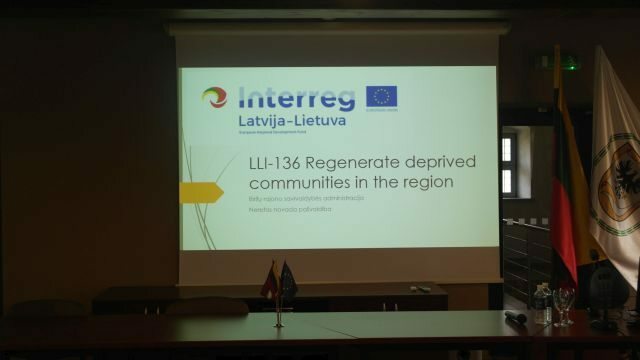 On April 5, 2018 Project LLI-136 “Regenerate deprived communities in the regions” Project management group meeting will take place in Birzai. 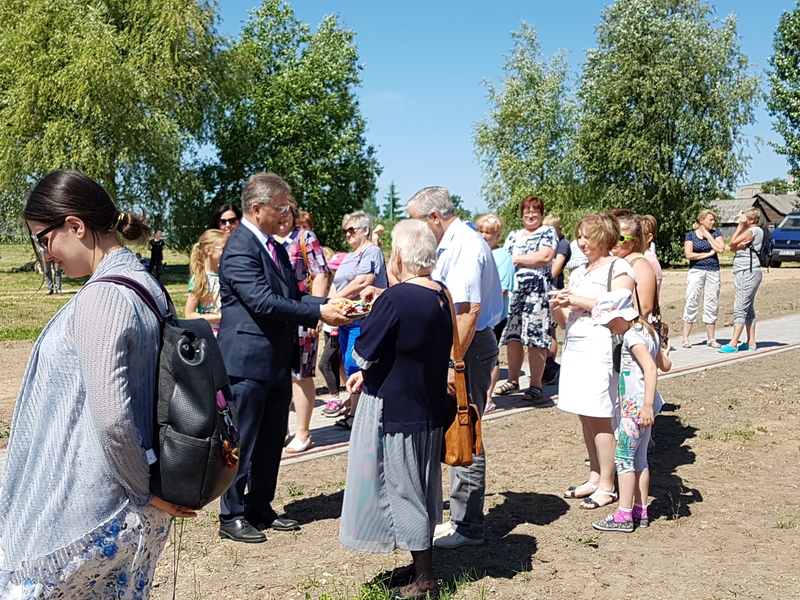 After Nereta municipality made the first big step in the implementation of the Project LLI-136 “Improvement of Living Conditions in Deprived Teritories by Creating Sustainable, Active and Healthy Communities” (Gyvenimo kokybės nugyventose teritorijose gerinimas, kuriant tvarias, aktyvias ir sveikas bendruomenes) in June, 2017, Biržai district municipality administration made the second one – new skate park is arranged in Vėjo street, Biržai town. The result appeared shortly: skate park is full of kids and youngsters of all ages. „We are happy and proud – long awaited dream of our young people finally became true. 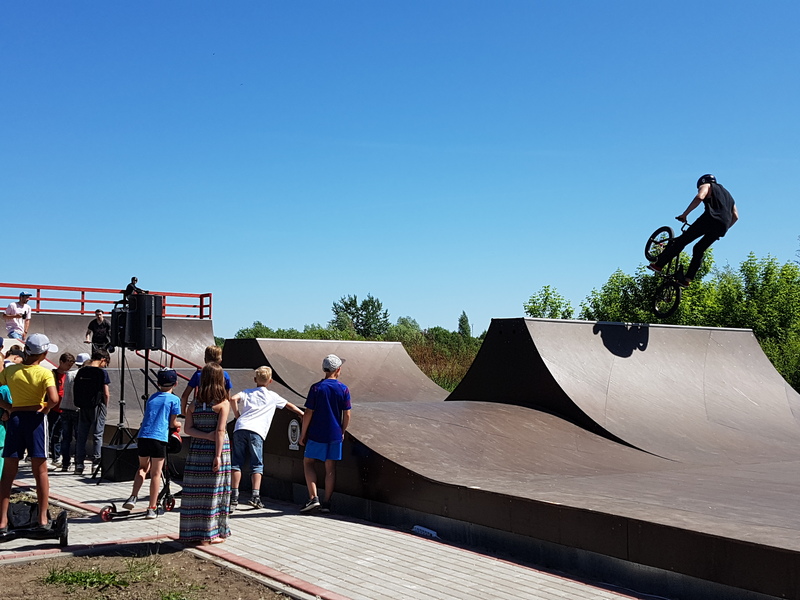 Popularity of newly elaborated skate park is the best proof that project moves the right direction“, – says Mayor Valdemaras Valkiunas. 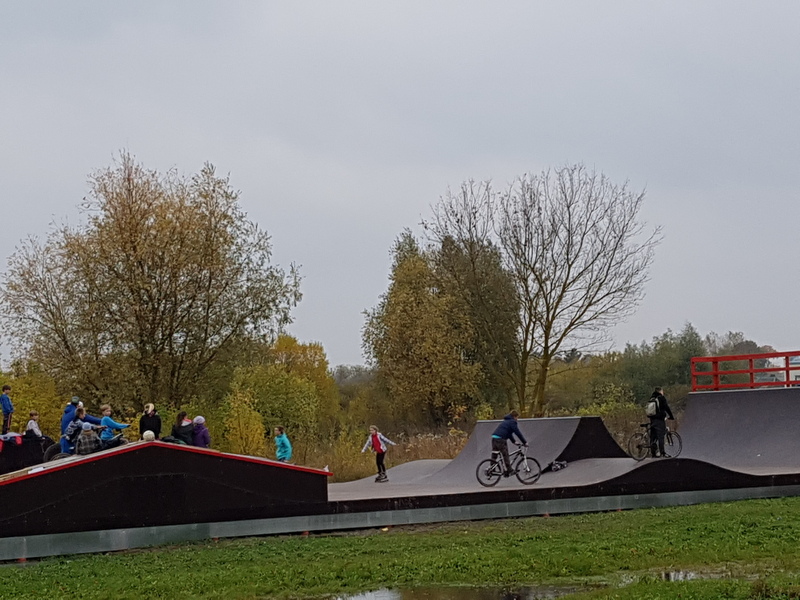 To make skate park more accessible and safe, municipality will arrange new path and informative board. 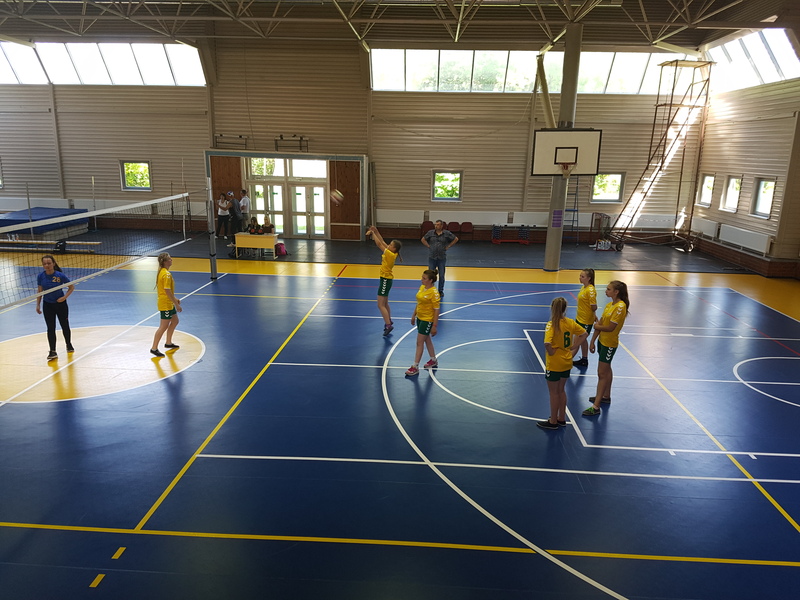 The third phase of the project – training/practical activities and sports festivals. Training events will seek to forge a closer link between the communities, motivate and encourage the social involvement of the residents, emphasize physical activity benefits for human health, the impact of surrounding environment on human psychological comfort, prevention lectures for the youth. Project value – 199 725,24 Eur. Biržai share – 122 193,11 Eur (103 864,14 ERDF and 18 328,97 Eur municipality budget). 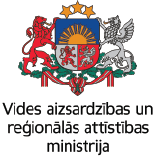 The overall objective of cross border cooperation between Lithuania and Latvia is to achieve an even Lithuanian – Latvian border regional development in the social, economic and cultural fields, to enhance, stimulate and support the municipalities and communities across the border, as well as to improve the partnership between the two countries. 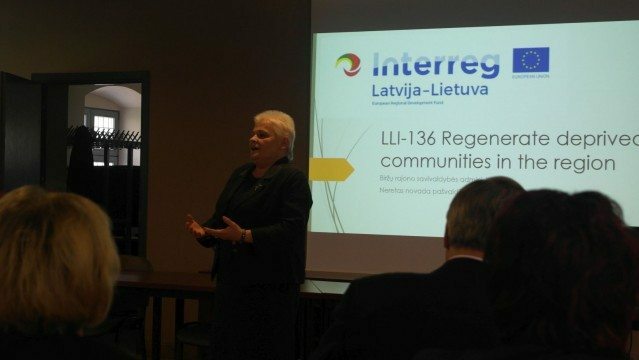 26.septembrī starptautiskās programmas INTERREG V-A Latvijas un Lietuvas 2014.-2020. gadam projekta Nr. LLI – 136 “Improvement of Living Conditions in Deprived Teritories by Creating Sustainable, Active and Healthy Communities” (“Dzīves apstākļu uzlabošana mazāk attīstītās teritorijās, radot ilgtspējīgas, aktīvas un veselīgas kopienas” ietvaros Neretas novada pašvaldībā viesojās Biržu pašvaldības mērs Valdemārs Vaļķūns (Valdemaras Valkiunas), Biržu rajona sporta centra direktors Sigits Mitrohins (Sigitas Mitrochinas) un Biržu pašvaldības projektu vadītāja Jurga Bagomaloviene. Biržu pārstāvji viesojās Neretas sporta hallē, lai novērtētu, kā paveikta grīdas seguma nomaiņa, kura pieņemšana notika 22. jūnijā. Biržu pašvaldības pārstāvji vizītes ietvaros pārrunāja aktualitātes, kas saistītas ar projekta īstenošanu un turpmāku sadarbību sporta un kultūras jomā. Kā atzina Biržu mērs V.Vaļķūns, halles grīdas seguma atjaunošana Neretā un skeitparka uzcelšana Biržos, ko paredz šis starpvalstu projekts, ir viens solis uz priekšu, tālākais ir abu kaimiņu – Neretas un Biržu – ciešāku draudzības saišu un sadarbības veidošana kultūras, sporta u.c. sfērās. A.Kviesis piebilda, ka nākamgad jāsarīko sporta sacensības starp skolu jaunatni un pašvaldības darbiniekiem. Savukārt Sēlijas novadu tautas mākslas svētkos “Sēlija rotā” jāpiedalās arī Biržu rajona deju kolektīvam un daiļamata meistariem. Biržu rajona sporta centra direktors S.Mitrohins pauda cerību par turpmāku pašvaldību sadarbību sporta jomā, iesaistot abu kaimiņu sportistus, organizējot kopīgas sacensības u.c. Vizītes ietvaros Biržu pašvaldības sporta pārstāvis tikās ar treneri Zigurdu Karolu. 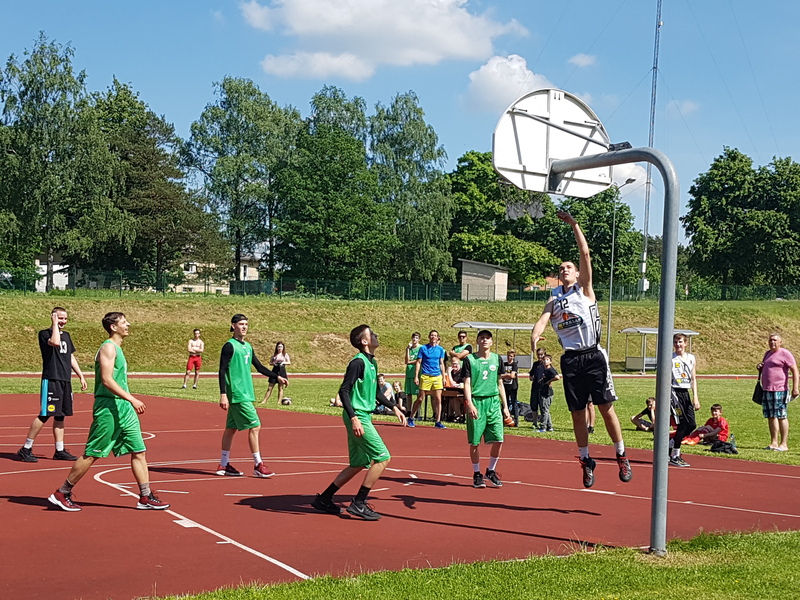 Projekta ietvaros nākamā gada 12.maijā plānotas dažādas sportiskās aktivitātes Biržos, kurās piedalīsies gan Neretas, gan Biržu sportisti un sportotgribētāji. 2017.gada 30. martā Neretas novada domes priekšsēdētājs Arvīds Kviesis un Biržu pašvaldības administrācijas direktors Rimants Pauža parakstīja sadarbības līgumu, kura mērķis ir uzlabot dzīves apstākļus un vidi mazāk attīstītās kopienās. On May 18, 2017 Project No. 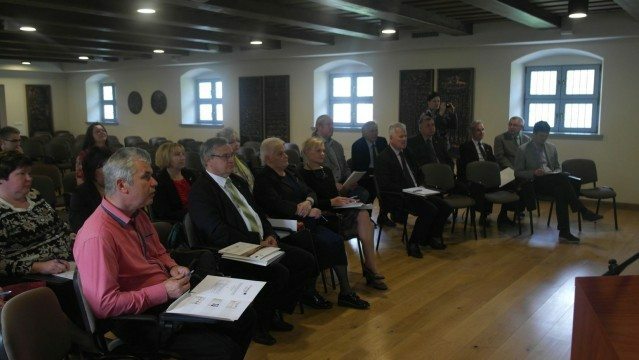 LLI-136 Regenerate deprived communities in the region was organized in Biržai. Project partners from Nereta municipality and Lead partner Biržai district municipality administration discussed project goals, activities, methods and timetable, shared plans and agreed on communication and management system. 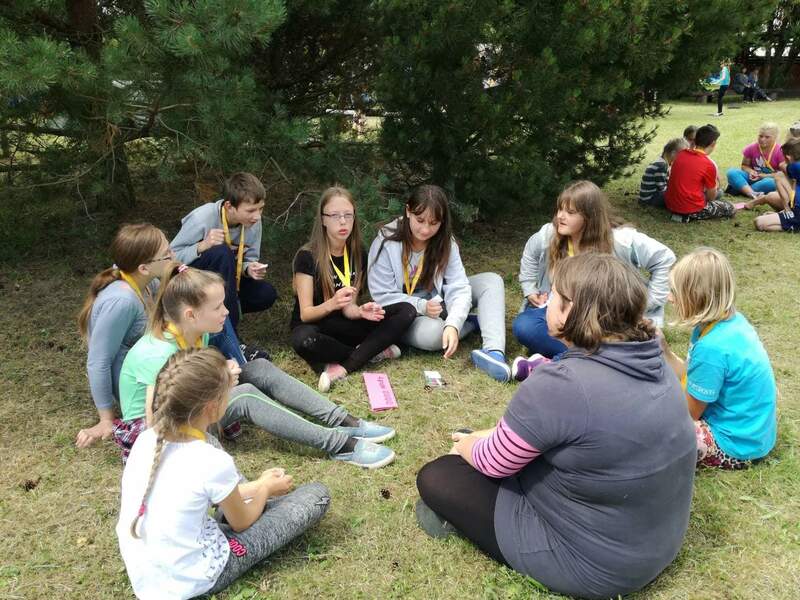 Theproject aims to improve living conditions and the environment in deprived communities by equipping social spaces and increasing the employment of social groups, as well as involvement in community activities, using the experience of cross-boorder cooperation in the territory. The objective of the project is to improve the living conditions in Biržai and Nereta municipalities by promoting the employment of social groups. The planned activities will generate long-term results. 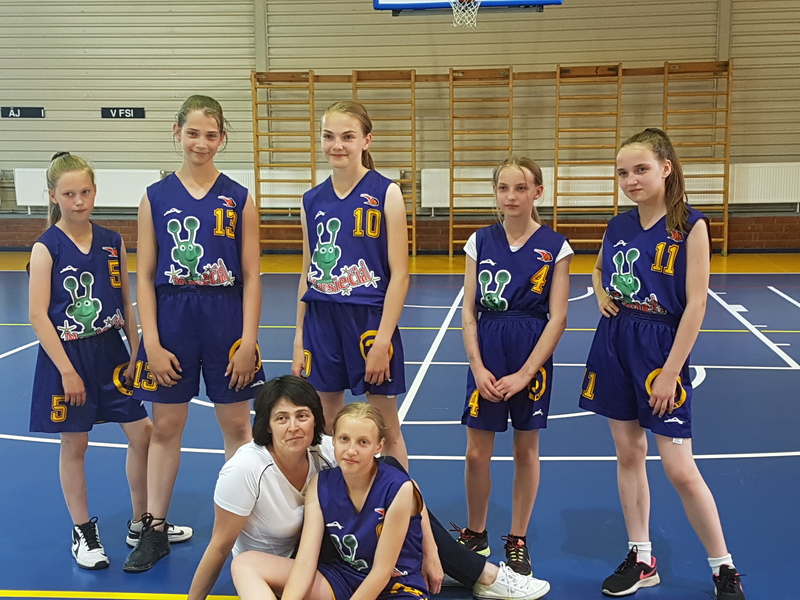 New social spaces will be created in the municipalities of Biržai and Nereta: Biržai will have a new skate park and the sports hall of Nereta scholl will be reconstructed, the hall will be modernised. The premises will be used for all population groups. The hall will be used not only for sporing activity – it will also hold community meetings. 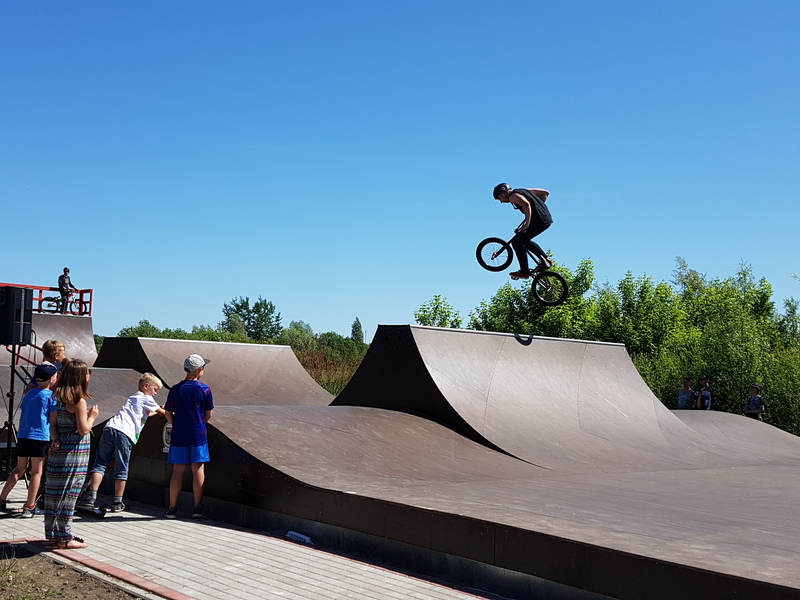 After the installation of the skate park in Biržai the busyness of the youth will promoted, as well as a closer relationship with the family or elderly people, because young people will be encouraged to visit the skate park not only with their peers. The implementation of project activities includes training/practical activities and sports festivals. Training events wil seek to forge a closer link between the communities, motivate and encourage the social inovolvement of the residents, emphasize physical activity benefits for human health, the impact of surrounding enivironment on human psychological comfort, prevention lectures for the youth. 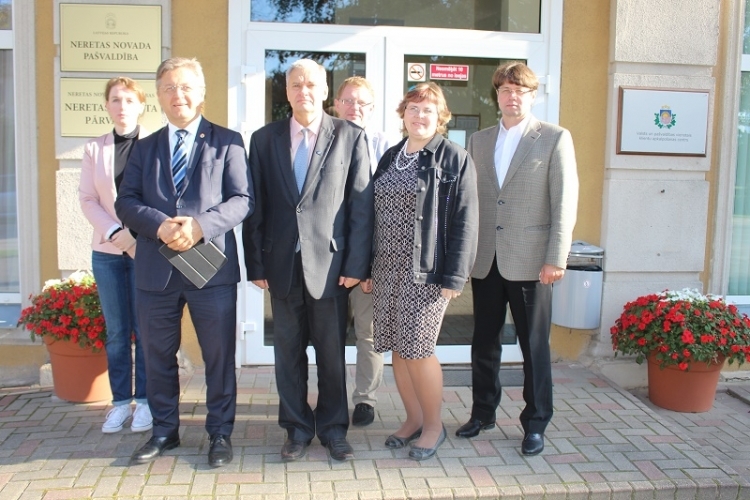 The overall objective of cross border cooperation between Lithuania and Latvia is to achieve an even Lithuanian – Latvian border regional development in the social, economic and cultural fields, to enhance, stimulate and support the municipalities and communities across the border, as well as to imrpove the partnership between the two countries. Total value of the project – 199 725,25 EUR, ERDF – 169 766,45 EUR. 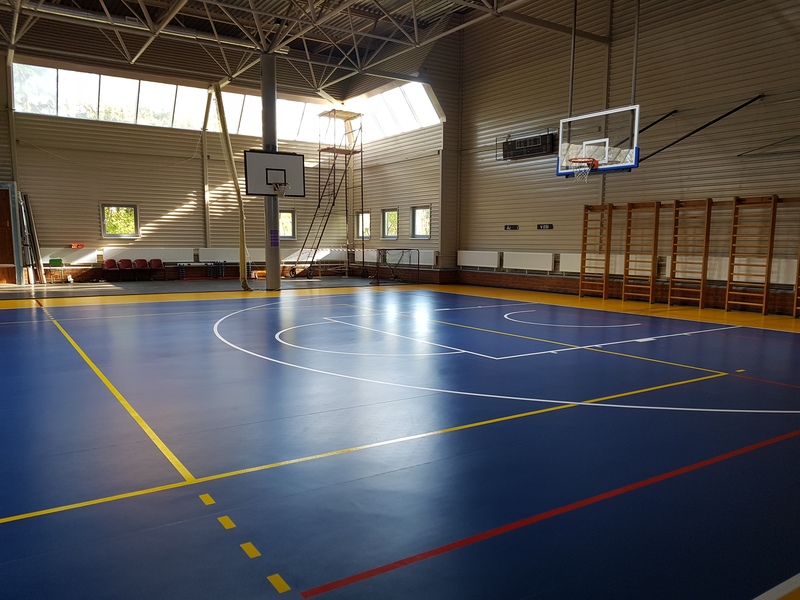 2 new social spaces were created by implementing the project: Biržai has new Skate park and the sports hall of Nereta school was reconstructed. 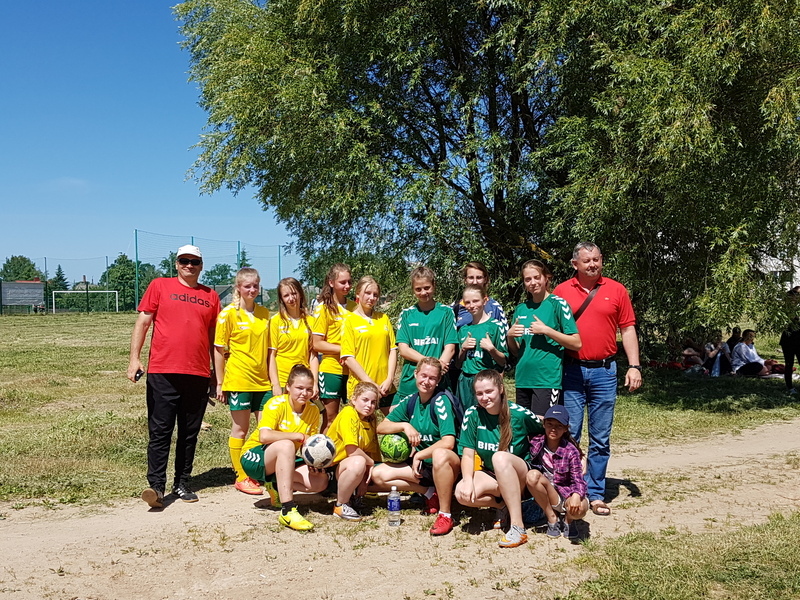 On May 25, 2018 Birzai and Nereta communities friendship sport event was organized in Nereta (61 participants, 34 from LT and 27 from LV). 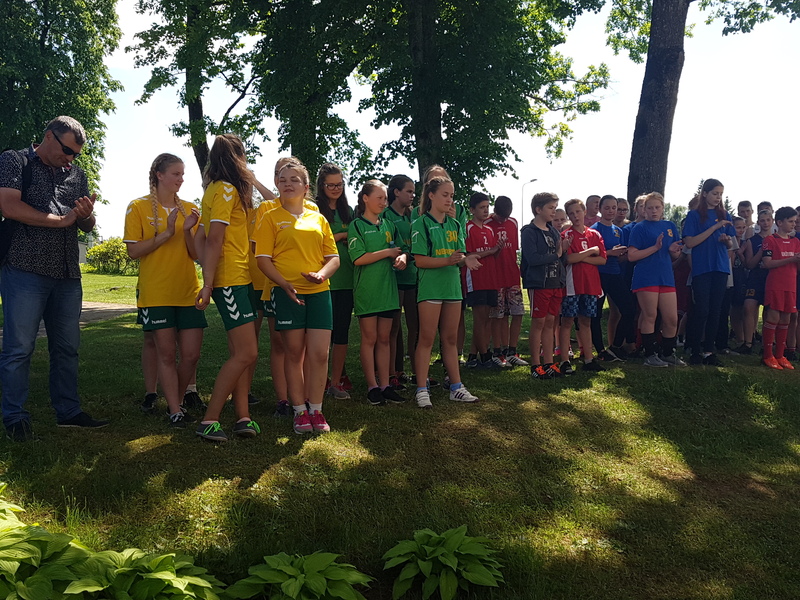 On June 1, 2018 sport event took place in Birzai (45 participants, 18 from LV and 27 from LT). 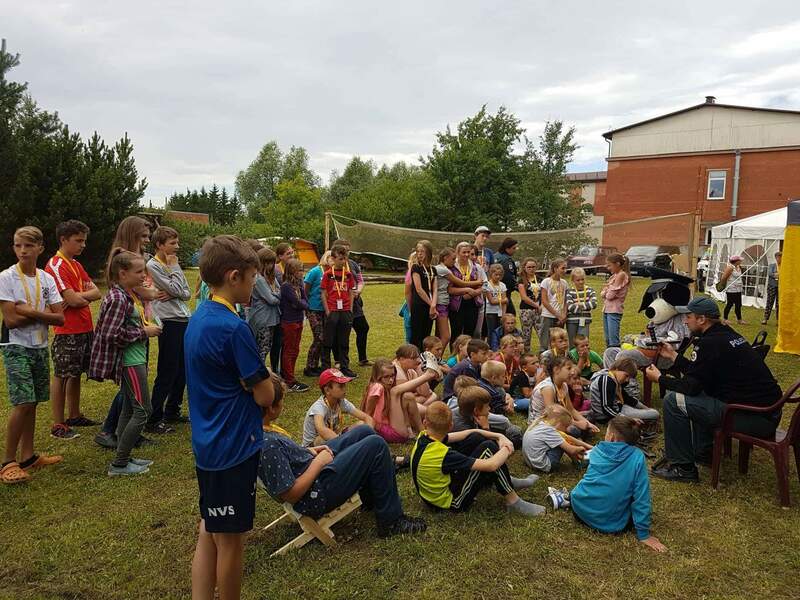 Trainings for community members (4 seminars and 1 practical training) were organized in Birzai on June 22-28, 2018 (total: 100 participants) and on August 22-28, 2018 in Nereta (total: 100 participants). 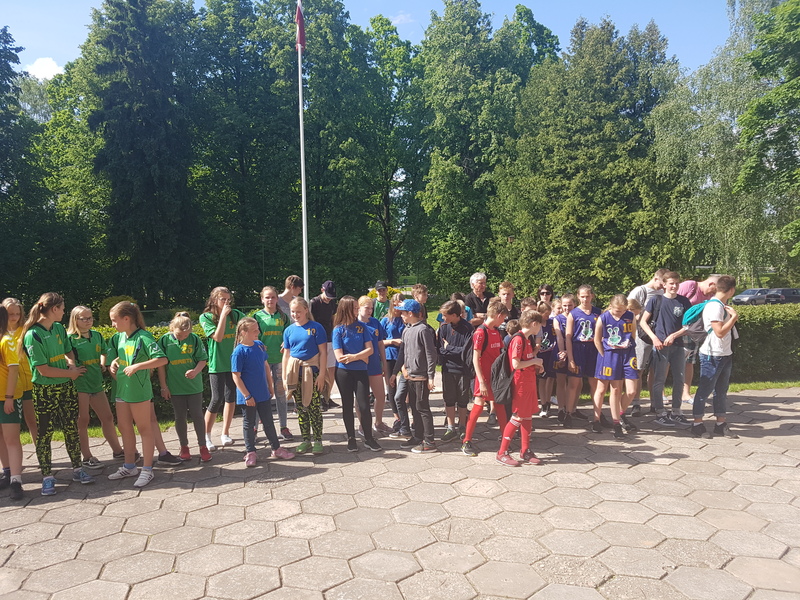 This project was oriented to a 1000 Biržai community people and 1,669 Nereta community people and reached 3000 representatives of the General public and 925 representatives of education/training centres and schools were reached by the project. 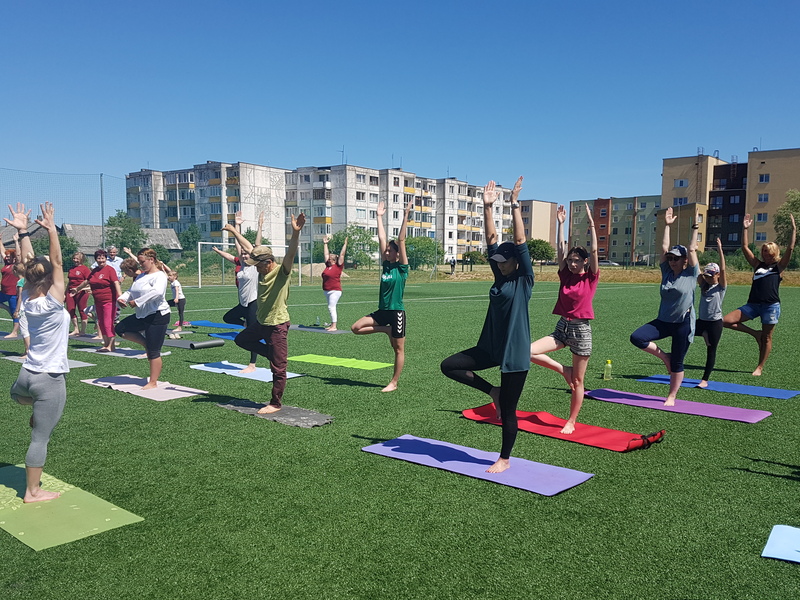 Trainings and sport events forged closer links between the communities, motivated and encouraged the social inovolvement of the residents, emphasized physical activity benefits for human health, the impact of surrounding enivironment on human psychological comfort.